The Harris Tweed Mallory Jacket is part of a nationality and tradition-defying collection, reflecting menswear guru Nick Wooster’s known love for mixing up materials and patterns like patchwork and camouflage. 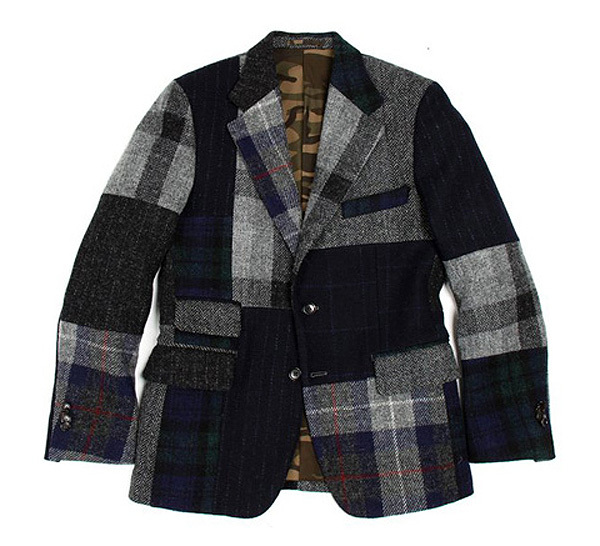 The base of the jacket features a medley of tweeds in varying patterns including herringbone, Black Watch plaid, and pinstripes, while his signature camouflage lines the interior. The Nick Wooster x United Arrows garments provide an innovative, fresh take on traditional clothing staples. The collection, which also includes a matching vest and pants, along with two shirts and an array of bowties, will see a pre-release on August 24 at the United Arrows Harajuku flagship, with a wider Japanese launch scheduled for September 14. Actually getting your hands on any piece, however, will probably take a Herculean effort.